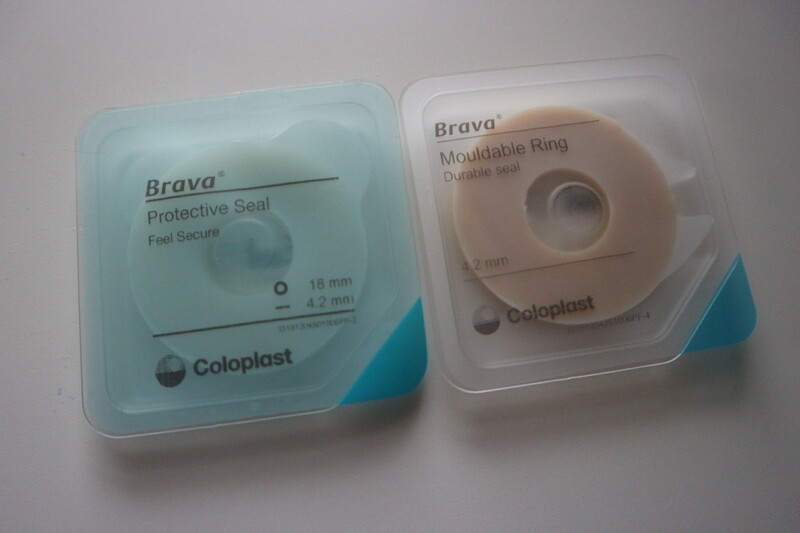 At the end of November, I was invited to Coloplast HQ in Peterborough to find out more about their new Brava Protective Seal and of course sample the product too! Coloplast wanted to improve on their exisiting Brava Moudlable Ring and provide a more comprehensive variety, to fit better with more sizes of stomas. Feedback from their customers lead them to look for three improvements: 1. More output resistance 2. More absorbancy 3. Accommodate for their shapes and sizes of stoma. 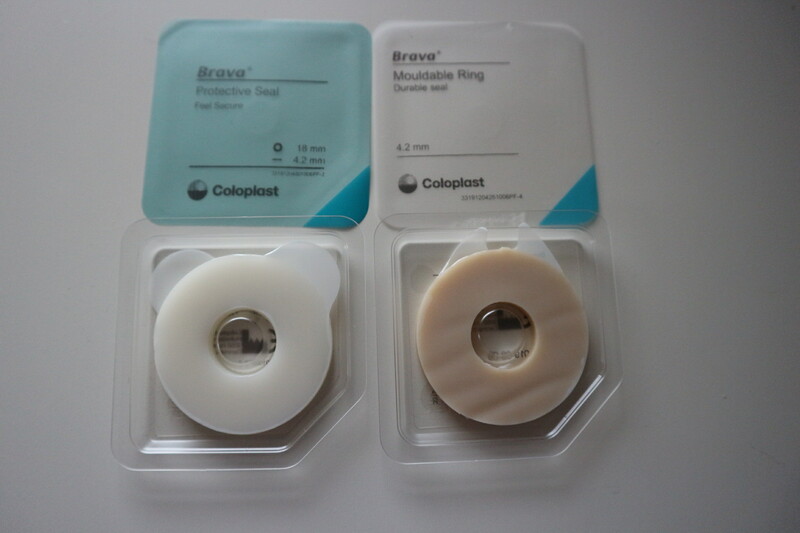 Coloplast’s Brava Mouldable Ring comes in two thicknesses – 4.2mm and 2.0mm – but does not vary in stoma size. This proved problematic for those with bigger stomas; stretching of the ring around their stoma led to it breaking down quicker. The Mouldable Ring also left a strong adhesive residue on the skin upon appliance removal; destroying some of the good work the ring did to protect the peristomal skin. This also meant you need to use more ‘force’ to rid the skin of this residue whilst cleaning before applying a new bag. Noted by some users was the static sticking of the rings release liners too. Those things have been improved greatly. Coloplast Global HQ spent two years developing a new recipe that met the requirements in the right balance – providing protection to the skin whilst maintaining the correct absorbance level. Over 200 employees were involved throughout the process, including 132 Stoma Care Nurses who gave their input during development. There was 100 recipes made and the ‘final two’ were trialled with 135 ostomates from four countries before concluding the final recipe would go in production. The Protective Seal comes in both 4.2mm and 2.5mm thickness and now in 18mm, 27mm and 34mm diameter too. For more information on the Mouldable Ring, if it is suitable for you and how to order a sample is found here . Likewise, for more information on the Protective Seal, if it is suitable for you and how to order a sample is found here . Alternatively, you can call Coloplast Care on 0800 783 1434 and speak to an advisor about your needs. I’ve used their Mouldable Rings for a couple of months following my surgery, as I was dealing with a persistent peristomal rash – for a variety of reasons: increased liquid output, size of my stoma changing post surgery and getting used to actually have a stoma and making mistakes. I found the Mouldable Ring would work okay but it would rip away from my skin when I changed my appliance, effectively making my skin sorer. I’d also have to use adhesive remover wipes to get rid of the residue left behind, hurting my skin more. It seemed like a neverending cycle of never quite achieving prolonged healthy skin. 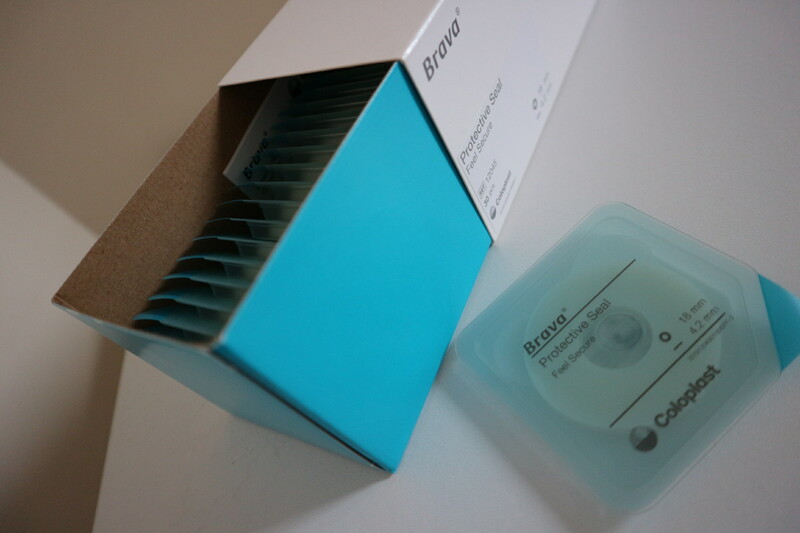 So when I tried the Brava Protective Seal, I was abit sceptical. Would this work, I asked myself. I applied one of my samples on my usual appliance change and waited until I came to do my next one, two days later. I have to say, I was thoroughly impressed. On removal, there was no ripping or pulling of my skin, hardly any residue was left behind but most importantly, my skin was completely rash free! I was amazed. I applied a new one – probably the quickest bag change due to no remover wipe needed! – and excitedly waited for my next bag change. That was almost a week ago and things have been going great so far! I’ve only had a small amount of rash come back because of overstreching the seal but it has worked so well and keeping my skin protected from my output. Below are the two products inside their packets; note the change of the release liner ears – I think the Protective Seal’s look abit like a bear’s – which behind the products improved ability to protect the skin is my favourite feature! The lid peels away easily, as do the release liners now too! They also come away whole every time, some thing the Mouldable Rings didn’t always do, leaving liner on the product surface. You get 30 in one pack, same as the Mouldable Rings. Size and shape of the box is standard – will easily fit into your supply storage – but you can now pull the content out of the box, which I quite like. Once released from the liners, the Seal is noticeably sticky but not overly sticky to your fingers as you stretch and mould it to your stoma. Once on the skin, if needed to removed and resize, this is doable without distrupting the skin. Removing this product on an ostomy appliance change is equally as easy to do – there is little to no residue left behind. I found to get my usual two days wear of them, like I would do with the Mouldable Rings. However, I found the Protective Seal to do a better job at expanding around my stoma and absorbing my sometimes quite liquid output. I would expect this Seal to give more durability if your output is more solid or you have a colostomy. If you suffer from leakage or have skin issues, I encourage you to try these seals – they come in two thicknesses and three diameter sizes and are completely mouldable to your own stoma shape and size. You can apply straight to skin – a whole ring or part of one – or directly to the baseplate of your bag. They are comfy to wear; there was no noticeable itch or discomfort you can experience with barrier rings and seals. Please note: If you are having issues with your stoma, please speak to your stoma nurse for advice.